Lake County Sheriff’s police responded about 8:00 p.m. Sunday September 16, 2018 to a vehicle vs tree crash with injuries involving an infant on Route 41 near Route 176 near Lake Bluff. The female driver and a 1-year-old boy, who was sitting in the back seat, were transported to Level I Trauma Center Advocate Condell Medical Center in Libertyville. The boy was transferred to the Pediatric Critical Care Center at Advocate Lutheran General Hospital in Park Ridge with critical injuries. The male infant’s condition has improved, but he remained hospitalized Monday, according to Lake County Sheriff’s Office. Derwin E. Guadarrama-Jimenez, who was later arrested and accused of causing the crash; and a 15-year-old boy, who was in the back seat, were transported to Lake Forest Hospital. Derwin E. Guadarrama-Jimenez, the teenage passenger and the car’s driver were treated and released. 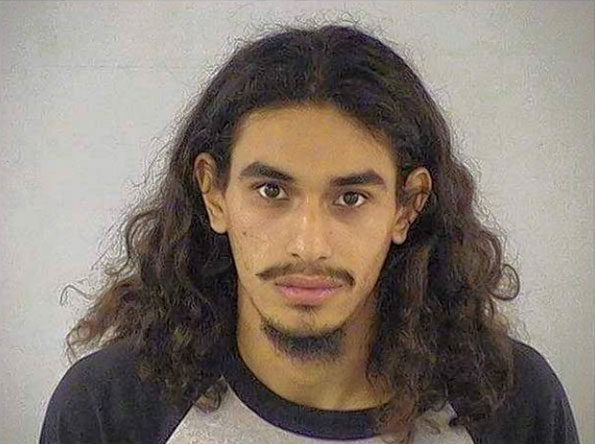 According to Lake County Sheriff’s police, Guadarrama-Jimenez was a passenger in a 2008 Honda traveling south on Route 41 near Route 176 in Shields Township when he and the driver, a 22-year-old Waukegan woman, began arguing just before the crash. During the argument, Guadarrama-Jimenez intentionally grabbed and turned the steering wheel, causing the vehicle to leave the road and crash into a tree, according to police. Derwin E. Guadarrama-Jimenez faces multiple charges alleging he intentionally caused the crash that critically injured an infant boy. Derwin E. Guadarrama-Jimenez, 22, of the block of 100 South Elmwood Avenue, Waukegan was held in the Lake County jail on $75,000 bail on two counts of reckless conduct. One of the reckless conduct charges is a Class 4 Felony and one being Class A Misdemeanor. The felony charge could result in prison for up to three years if he’s convicted. Guadarrama-Jimenez appeared in court Tuesday. He remains in full custody Wednesday morning held on $50,000 bail on one count of Great Bodily Harm, and one count of Reckless Conduct/Bodily Harm. The next scheduled court date for Derwin E. Guadarrama-Jimenez is Tuesday, October 9, 2018. Derwin E Guadarrama-Jimenez, suspect Reckless Conduct Great Bodily Harm.